Link to our Bushwacker Lens Cover Size Guide Page. You maybe also interested in Quake slings and Hush Stalker sling swivels. New Bushwacker™ 270° lay flat design, although they do not lay truly flat. Durable hinge unit for long life. Flexible, strong flush ring for a secure fit. 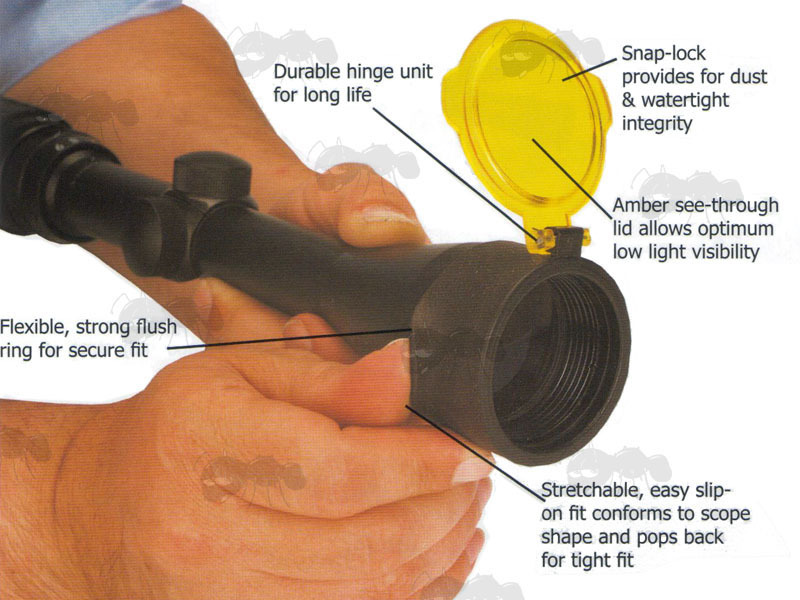 Snap lock provides for dust and watertight integrity. Amber see-through lid allows optimum low light visibility. Stretchable, easy slip on fit conforms to the scope shape and pops back for a tight fit. Each weighs approx 20 grams. No.3s Fit Leica Trinovid 10x25 Binoculars. No.7's Fit Canon 12 x 36 IS II Image Stabilising Binoculars. Bushwacker™ Optic Covers employ state-of-the-art polymer technology designed to maximize the product's versatility. 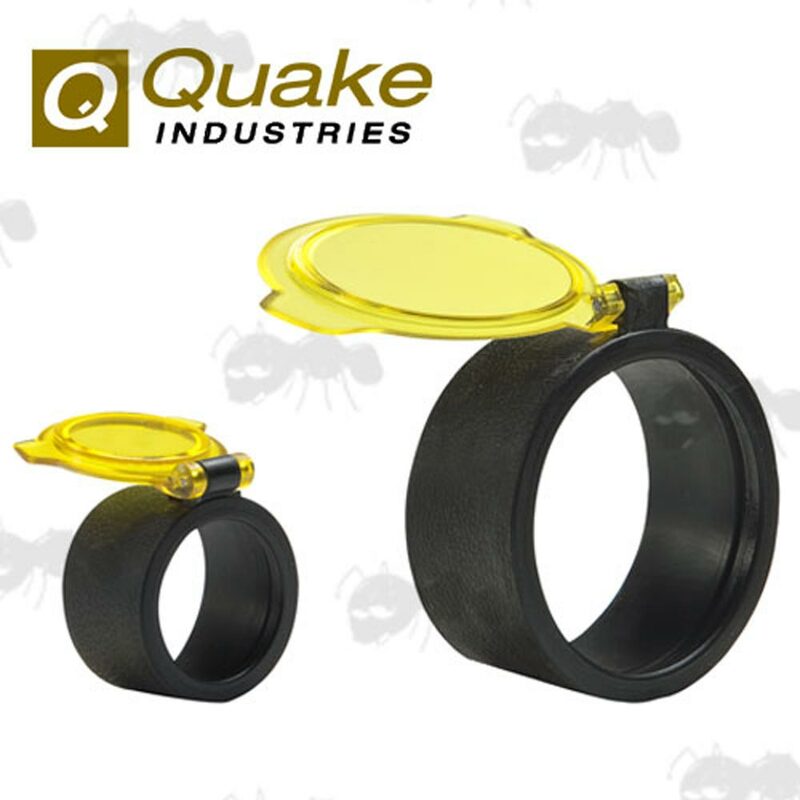 The Bushwacker™ See-Thru Amber Optic Cover incorporates a transparent yellow lid ideal for light gathering under low light conditions. 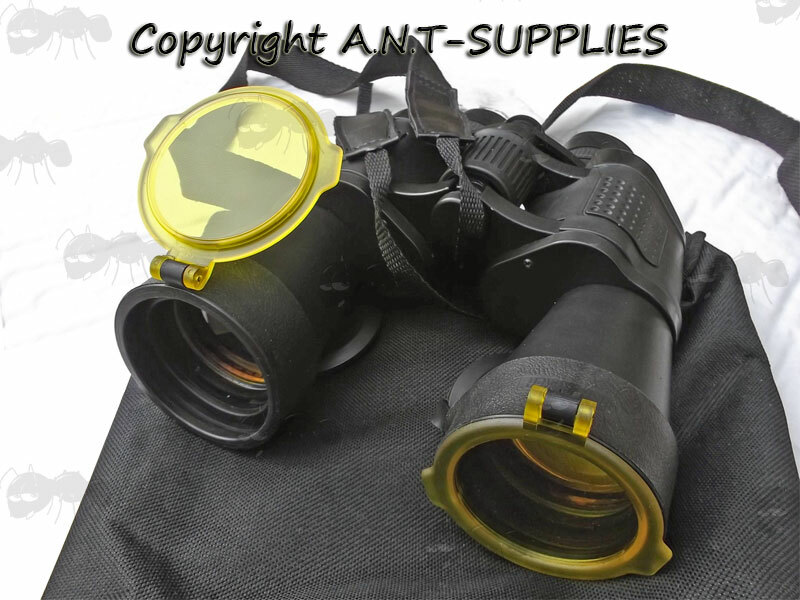 These highly stretchable covers are manufactured to fit both ocular and objective lenses and are ideal for rifles, pistols, torches, spotting scopes, binoculars and cameras. Washer like adapter rings are included with all size five and six covers. 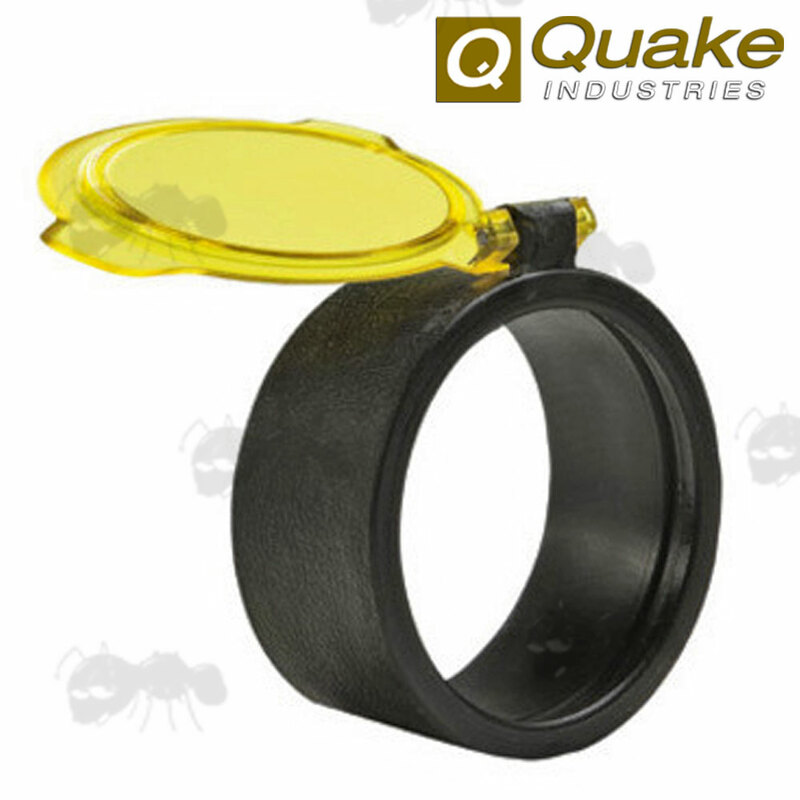 If the optic measures between sizes 4-5 or 5-6 use the larger optic cover, with the adapter ring placed inside the cover. The first 4 sizes fit 70% of scopes with the last 3 covering another 20%. Size 1 fits most 4x20 rifle scopes. Size 8 fits on the size E killflash. If you see this message, it means that your browser doesn't support iframes or they are disabled. You can access the information shown in this frame here: Quake Products Scroller.